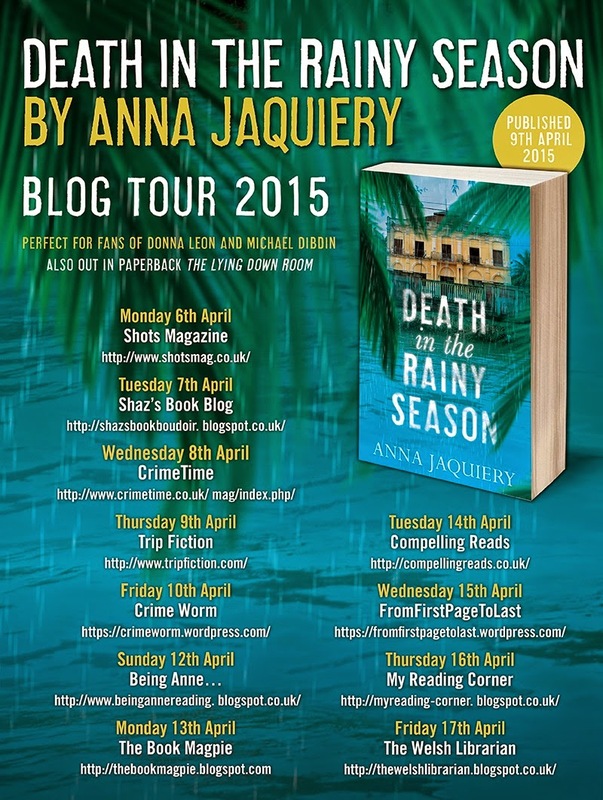 Death in the Rainy Season is Anna Jaquiery's second novel featuring the French detective Serge Morel. A detective whom I absolutely adore! Death in the Rainy Season is a beautifully written crime novel. Is there such a thing as literary crime fiction? If not, I think there should be. Morel is on holiday in Cambodia when Hugo Quercy is found dead in a hotel room. As the deceased is of French origin with family of political importance back in France, Morel is called in to investigate. Reluctant at first, Morel soon realises that the Cambodian Police are largely incompetent and almost certainly corrupt, so he sets about the investigation with a quite lone determination, calling upon others only when strictly neccessary. Morel uses his skill as a detective to form relationships and get to know those that were close to Hugo; the picture they paint of the deceased is not a particularly favourable one. It seems that it would almost be easier to ask who didn't kill Hugo, than who did? One thing I did miss slightly in this novel was the presense of Lila, Morel's colleague back in the French police. I appreciate it would be unrealistic to have her fly over to get involved with the investigation, but I just loved their relationship so much the first time around. I don't want to say too much more, as I want you to read this one for yourselves. Death in the Rainy Season is another brilliant novel by Anna Jaquiery and I cannot wait to see what she has in store for Serge Morel next. Death in the Rainy Season is available to buy now from Amazon online and all good book shops. Thank you to Sam Eades at Pan Macmillan who sent me an advanced proof of this novel in exchange for an honest review.